A follow-up to last week’s post concerning healthcare is getting more and more “retail” — in response to Senators Bill Cassidy, MD (R-LA), Michael Bennet (D-CO), Chuck Grassley (R-IW), Tom Carper (D-DE), Todd Young (R-IN), and Claire McCaskill (D-MO) unveiling their intention to launch a healthcare price and quality information transparency initiative (The Senators asked the American Hospital Association (AHA), American Medical Association (AMA), Federation of American Hospitals (FAH), and other healthcare stakeholders to provide more information on healthcare price transparency to help inform the initiative), industry groups came forward to describe the struggles provider organizations face when implementing healthcare price transparency for their patients. RevCycle Intelligence provides excellent commentary on each of the above issues that you’ll want to take a look at. 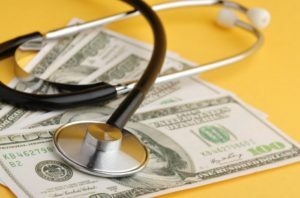 Again, the bottom line remains that providers need to modernize to achieve full payment automation in an environment where price and resultant charges are under a microscope. OrboAccess is a powerful tool in support of the provider’s ability to remain price-competitive!